Al Krupski is working to keep the psychiatric hospital open. Dix Hills, NY - September 23, 2013 - A majority of the bi-partisan membership of the Suffolk County Legislature has called on Governor Andrew Cuomo to halt the planned closure of the Sagamore Children’s Psychiatric Center in Dix Hills. The closure is part of the New York Office of Mental Health’s plan to consolidate in-patient psychiatric services. “The bi-partisan membership of the Suffolk County Legislature strongly opposes the planned closure of the Sagamore Children’s Psychiatric Hospital in Dix Hills in Suffolk County. The New York State Office of Mental Health (OMH) plan to consolidate in-patient psychiatric child and adolescent services will leave Long Island families underserved and vulnerable. If this plan comes to fruition, the only longer term psychiatric care facilities for children and adolescents who require extended in-patient hospitalization will be at the New York City Children’s Center facilities in the Bronx or in Queens. In addition to absorbing patients from Suffolk and Nassau counties, these two facilities also serve Brooklyn and Manhattan as well as the residents of Queens and the Bronx. This will make long term beds less available since these two facilities are often operating at close to full census. In turn, this could lead to delays in treatment which could be catastrophic for some families in need. Family participation is a critical component for the successful treatment of childhood and adolescent psychiatric and emotional disorders. 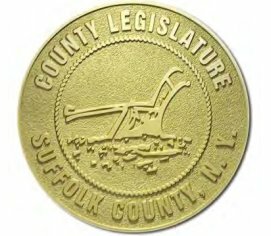 To add additional commuting time for a family already under stress may deter some families, particularly those who live in eastern Suffolk County, from availing themselves to appropriate treatment in a timely manner or may interfere with their ability to participate in their child’s treatment. Some children and adolescents suffer from illnesses that require longer term care for up to two, three months or possibly four months. They can pose a threat to themselves or to others and acute care facilities or outpatient programs simply do not meet their needs. Often children needing long-term care have already gone through community based treatment programs and hospitalization in acute psychiatric facilities. Sagamore Children’s Psychiatric Hospital, which is recognized for delivering an outstanding quality of care, fulfills this need for many families. For the past year, the hospital has operated over capacity; clearly there is a need for this kind of facility on Long Island. Closing Sagamore Children’s Psychiatric Hospital would be a disservice to the families of Suffolk’s most at-risk children and adolescents. Subject: LongIsland.com - Your Name sent you Article details of "Suffolk County Legislature Calls on Governor to Keep Sagamore Open"